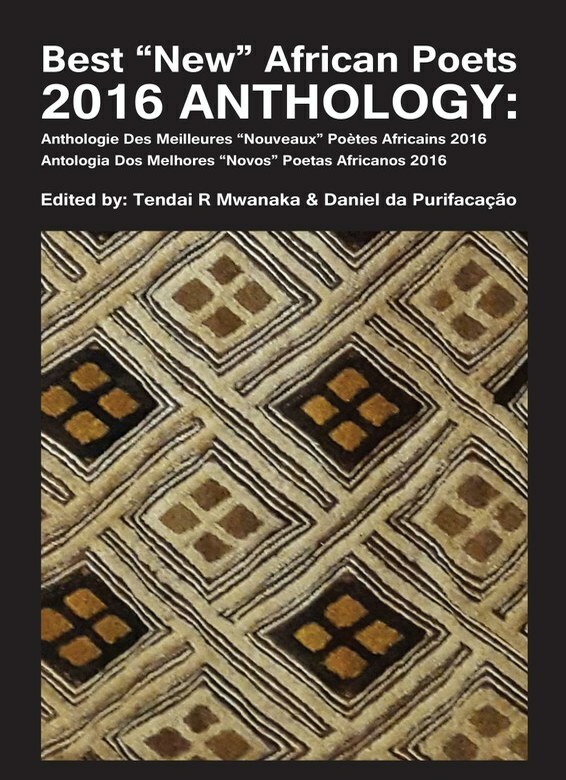 Best New African Poets 2016 Anthology has 251 pieces from 131 poets and artists in 7 languages (English, Portuguese, French, Afrikaans, Shona, Yoruba and Kiswahili) from 24 African countries and Diasporas, with South African and Angolan poets dominating the list. We also have a healthy number of poets from Uganda, Zimbabwe, Kenya, Moçambique, Ghana, and Nigeria, as usual. The nationalist sense is the one that most predominates with its pink, blue and gray tints that are expressed in parallel with existentialist perspectives that in turn go hand in hand with love, desire, hankering, joy, sensuality that transports us to epic, lyrical, utopian contexts without being lost in fantasy, they are artistic lines sometimes with traditional and sometimes more innovative touches. However, in contrast and to a lesser extent, almost as if there were resistant and with restraint we also find desolation, pain, negation that can be so sweet or so bitter that it allows the imagination to stop in a lament or end in resignation. Tendai. R. Mwanaka is a multi-disciplinary artist from Chitungwiza, Zimbabwe. His oeuvre of works touches on non-fictions, essays, poetry, plays, fictions, music, sound art, photography, drawings, paintings, video, collage, mixed media, inter-genres, inter-disciplines etc. Voices from Exile, a poetry collection came out from Lapwing Publications, Northern Ireland, 2010, Keys in the River, a novel of interlinked short fictions came out from Savant Books and Publications, 2012, Zimbabwe: The Blame Game, a book of creative non fictions on Zimbabwe came out from Langaa RPCIG, 2013. A Dark Energy (full length novel) forthcoming from Aignos Publishing Inc. Work has been published in over 300 journals, anthologies and magazines in over 27 countries. Nominated, shortlisted and won some prizes and work has been translated into French and Spanish. Daniel da Purificação is a citizen of the world. He loves to talk, love, read, think and write without relent. He is a professor and freelance journalist. His interests are broad range, including society, philosophy, politics, education and democracy. He has authored two poetry collections (THE ANGOPOEMS et INTERMITENCIAS) which he hopes to publish posthumously.